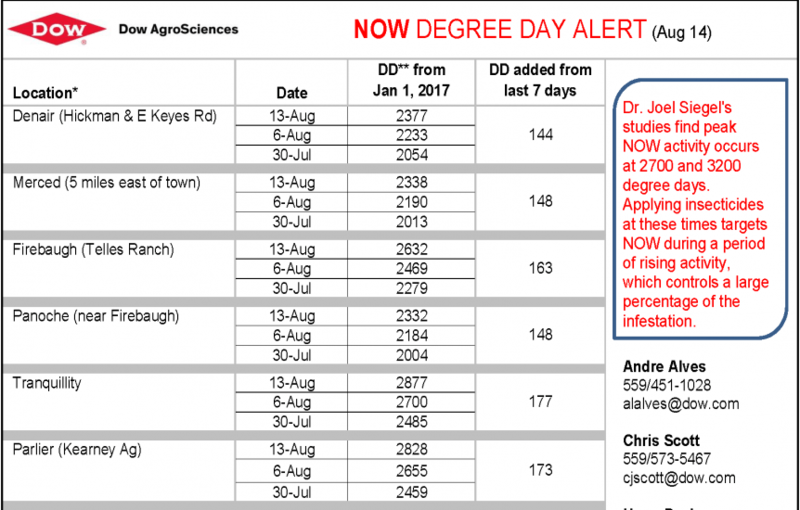 Dow AgroSciences and Intrepid Edge insecticide bring us the Navel Orangeworm (NOW) Degree Day Report for pistachios as of August 14. Degree days are determined using the calculator at the University of California integrated pest management website. 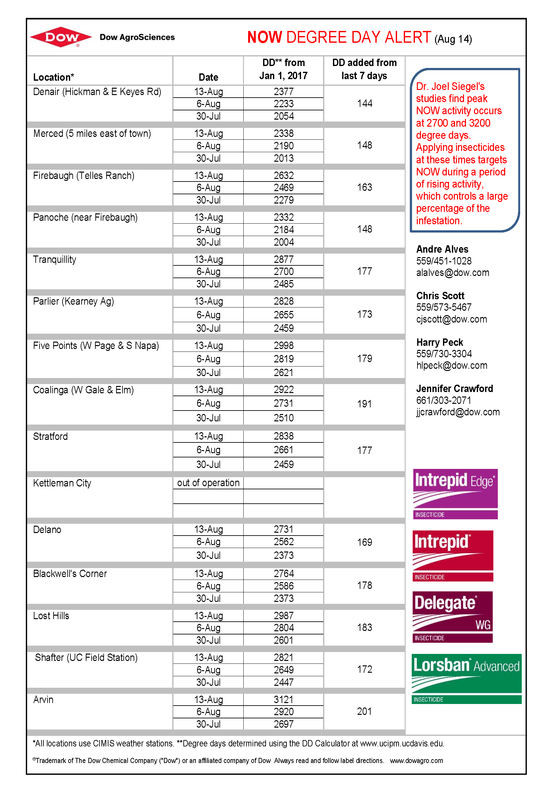 All locations use CIMIS weather stations.